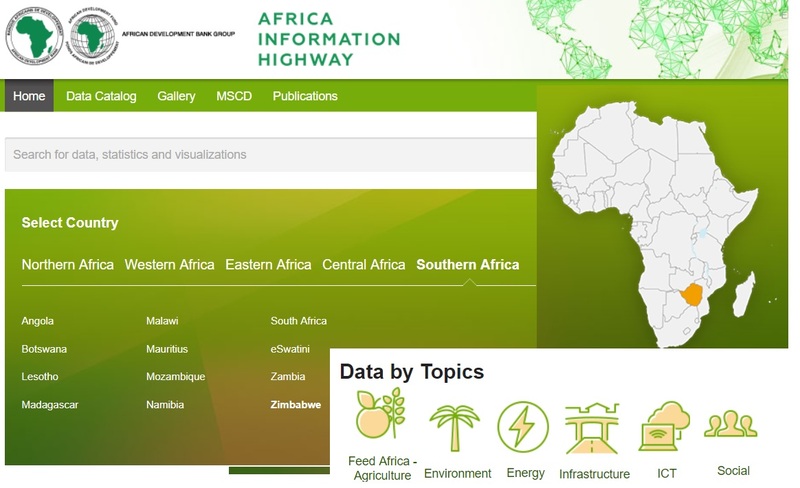 The Africa Information Highway (AIH) - launched by the Statistics Department of African Development Bank Group (AfDB) in 2012, as part of the Bank’s statistical capacity building program (SCB) in Africa - represents a mega network of live open data platforms (ODPs) electronically linking all African countries and 16 regional organizations. The overall objective of the AIH is to revolutionize quality data management and dissemination in Africa, and thus significantly increase public access to accurate official and other statistics across Africa and inform national development policies and strategies. ensuring in this way a one single-stop center for capturing and sharing development data in Africa. The expansion program has included a notable addition of the Sustanaible Development Goals (SDGs) Data Hubs to facilitate monitoring of the implementation of the 2030 Agenda for Sustainable Development across Africa. The AIH also includes a new portal system for meeting the Bank’s own data needs for monitoring the development impact of its interventions in African countries; and to ensure that these are in line with its High 5s transformation agenda for Africa for the period 2015-2025. Recorded Webinar : What is GODAN (Global Open Data for Agriculture)? You are welcome to Sign up for AIMS News, and to follow @AIMS_Community on Twitter... And, thanks again for your interest!